In the constant battle against the spread of infectious diseases, scientists are continually on the hunt for new weapons that specifically target pathogenic microbes. Now, investigators from the Center for Radiological Research at Columbia University Irving Medical Center (CUIMC) believe they may have found a new, low-cost solution to eradicating airborne viruses in indoor public spaces. The research team found that continuous low doses of far ultraviolet C (far-UVC) light can kill airborne flu viruses without harming human tissues. The findings from the new study—published today in Scientific Reports in an article entitled “Far-UVC Light: A New Tool to Control the Spread of Airborne-Mediated Microbial Diseases”—suggests that use of overhead far-UVC light in hospitals, doctors' offices, schools, airports, airplanes, and other public spaces could provide a powerful check on seasonal influenza epidemics, as well as influenza pandemics. Scientists have known for decades that broad-spectrum UVC light, which has a wavelength of between 200 to 400 nanometers (nm), is highly effective at killing bacteria and viruses by destroying the molecular bonds that hold their DNA together. 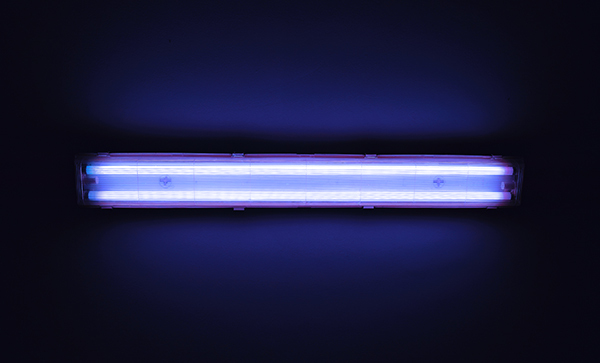 This conventional UV light is routinely used to decontaminate surgical equipment. “Unfortunately, conventional germicidal UV light is also a human health hazard and can lead to skin cancer and cataracts, which prevents its use in public spaces,” explained senior study investigator David Brenner, Ph.D., director of the Center for Radiological Research and professor at CUIMC. Interestingly, several years ago, Dr. Brenner and his colleagues hypothesized that a narrow spectrum of ultraviolet light called far-UVC could kill microbes without damaging healthy tissue. Moreover, the researchers demonstrated that far-UVC light was effective at killing MRSA (methicillin-resistant Staphylococcus aureus) bacteria, a common cause of surgical wound infections, but without harming human or mouse skin. Influenza virus spreads from person to person mainly through fine liquid droplets, or aerosols, that become airborne when people with flu cough, sneeze, or talk. The current study was designed to test if far-UVC light could efficiently kill aerosolized influenza virus in the air, in a setting similar to a public space. In this study, aerosolized H1N1 virus—a common strain of flu virus—was released into a test chamber and exposed to very low doses of 222-nm far-UVC light. A control group of aerosolized virus was not exposed to the UVC light. The far-UVC light efficiently inactivated the flu viruses, with about the same efficiency as conventional germicidal UV light. At a price of less than $1000 per lamp—a cost that would surely decrease if the lamps were mass produced—far-UVC lights are relatively inexpensive. This could allow the tool to be utilized in far more places than UV lights are currently being employed, leading to potentially wide sweeping impacts toward diminishing the spread of many infectious diseases. “If our results are confirmed in other settings, it follows that the use of overhead low-level far-UVC light in public locations would be a safe and efficient method for limiting the transmission and spread of airborne-mediated microbial diseases, such as influenza and tuberculosis,” Dr. Brenner concluded.